Here is another recipe coming out the Betty Crocker Cookie Book. I never made this before now and I am surprised how much I like this cookie. There isn't any butter in this cookie. Usually I miss the butter flavor if it is not in the cookie, but not in this case. These cookies are really good. There is a suggestion that add chocolate chips in the cookies. I will do that next time. Heat oven to 375 degrees. Mix dry ingredients together, add sugar and oats, mix in oil, milk, and eggs. Add peanuts. Drop by round teaspoonfuls on greased cookie sheet about 2 inches apart. Bake 8-10 minutes until done. Hmmm, these do sound good. I always make the Quaker recipe but love to try new ones too. I'll give it a whirl sometime! Sounds like the cookies my mom used to make. Yum! Have a great day! This looks really good! I have a friend who can't have dairy, so since this is butter-free, I should be able to adapt the rest of it to work for her. That is different. I will for sure try. Thanks for sharing. What a great cookie! 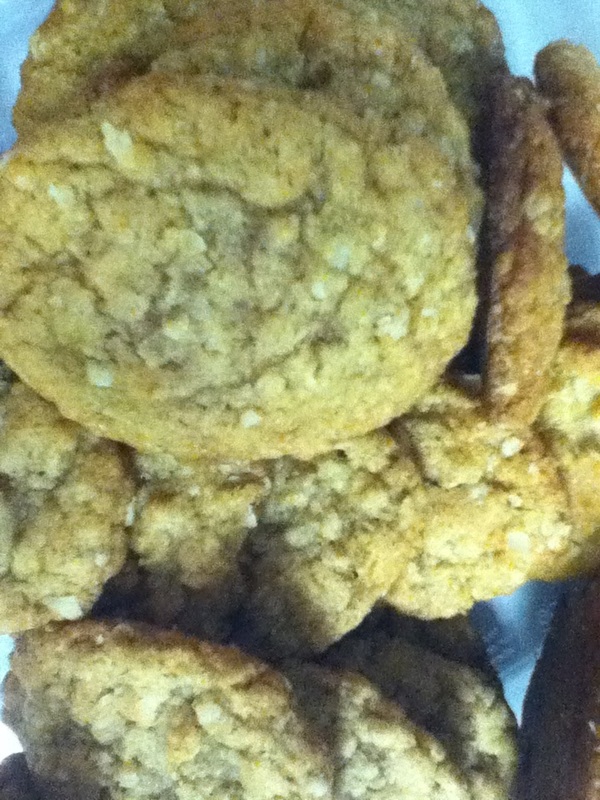 We just love Oatmeal Cookies and your recipe looks delicious. Hope you are having a great week and thanks so much for sharing with Full Plate Thursday. I'm hopping by and following you from Lots of Loving Hop! Please come by my blog to visit..
BY THE WAY! Yummmmmmy! Very Yummmy! I love drop cookies. They're my favorite kind to make. And, I love oatmeal cookies, too. One of my favorites. Thanks for sharing on Sweet Indulgences Sunday. I have all the ingredients for these cookies on hand, I know what I will be baking tomorrow! They look good. Found you via the Silly Sunday hop.